Fredericksburg is a great town to spend some time in. With a variety of interesting stores in its historic downtown, combined with a number of interesting historic sites, such as the Mary Washington House, Hugh Mercer Apothecary Shop, Kenmore, and the James Monroe Museum, you can easily spend several days without running out of great daytrip destinations! 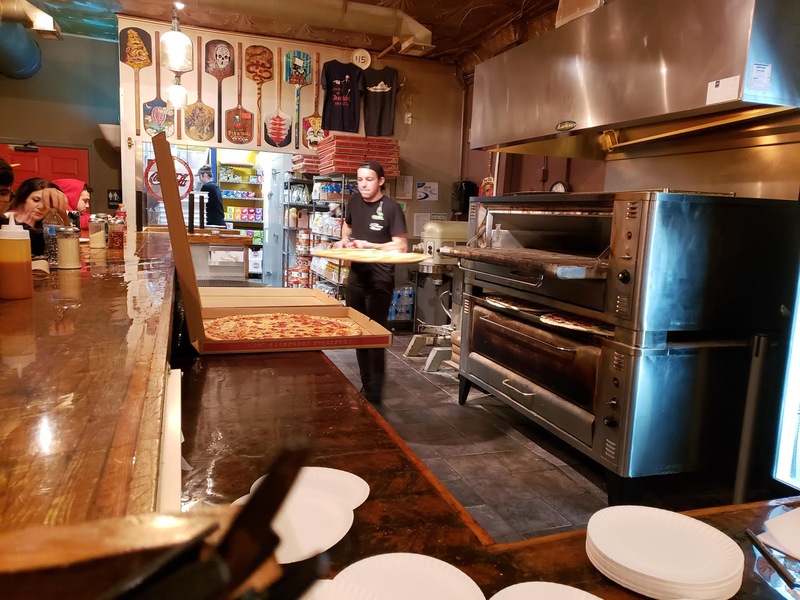 If you visit, it's worth exploring the culinary side of Fredericksburg, as the town also offers a number of interesting restaurants, for all price ranges. Start your day with a stop at Hyperion Expresso or Eileen's Bakery and Cafe. Both offer a variety of coffees and teas, along with some baked goods to die for. 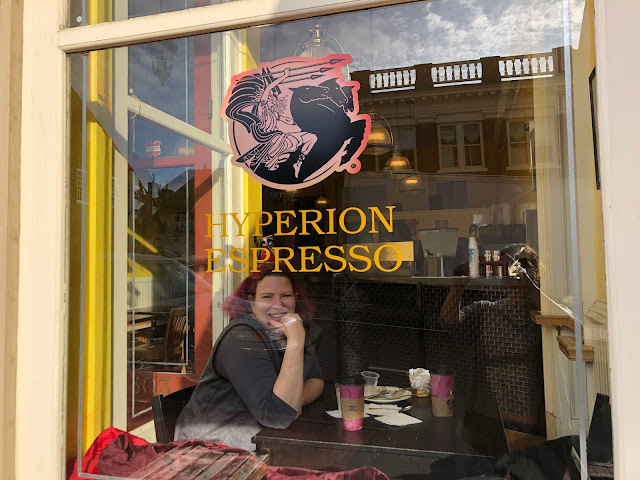 My favorite Fredericksburg experience was sitting in the window alcove of Hyperion Expresso, enjoying my morning coffee. But Eileen's Bakery and Cafe isn't to be missed either, as the aroma of fresh baked delectibles is striking, and you get to enjoy your coffee and treat in a re-purposed old church. 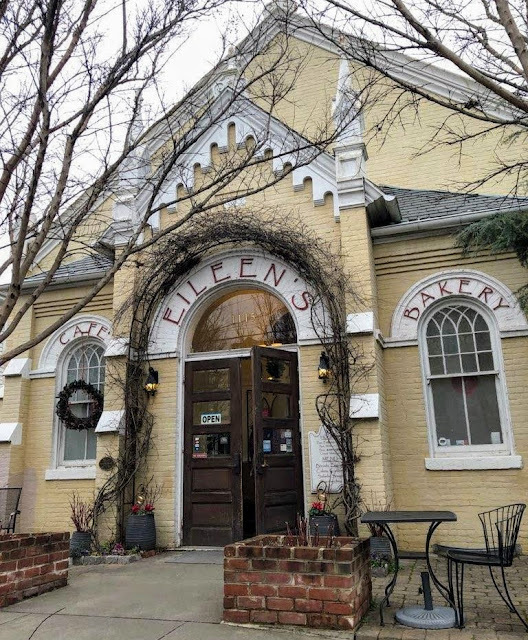 Eileen's also offers breakfast sandwiches and quiche, as well as lunch fare later in the day. For lunch, dinner or a late night snack, take the 28-inch pizza challenge with one of Benny Vitalis New York style pizzas. We tried plain cheese and bruschetta pizza (slices, not whole pies), and thoroughly enjoyed every bite! Be prepared to stand, though. 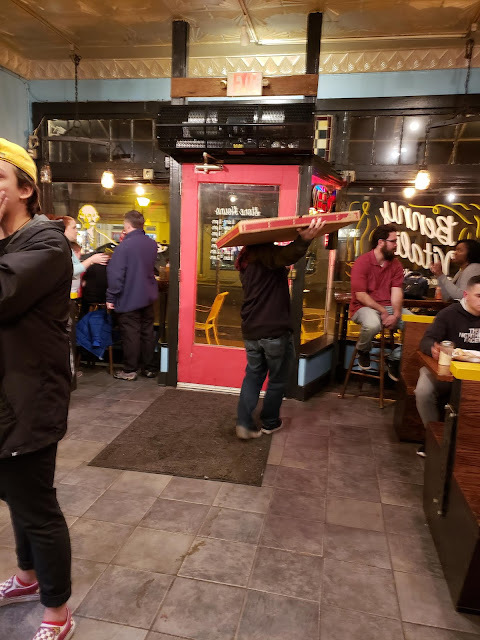 Benny's has lots of pizza, but not lots of seats. Another casual place to try is Curitiba Art Cafe. With a variety of light fare and a focus on drinks influenced by Brazilian culture, the cafe also offers a variety of teas and coffees, as well as a hot chocolate to die for. Hot and cold sandwiches reflect the Brazilian cultural influence, but the menu also includes traditional salads. Notably, draft beer and wine, as well as some mixed drinks, make this a spot to head to after dinner to hang out and relax. 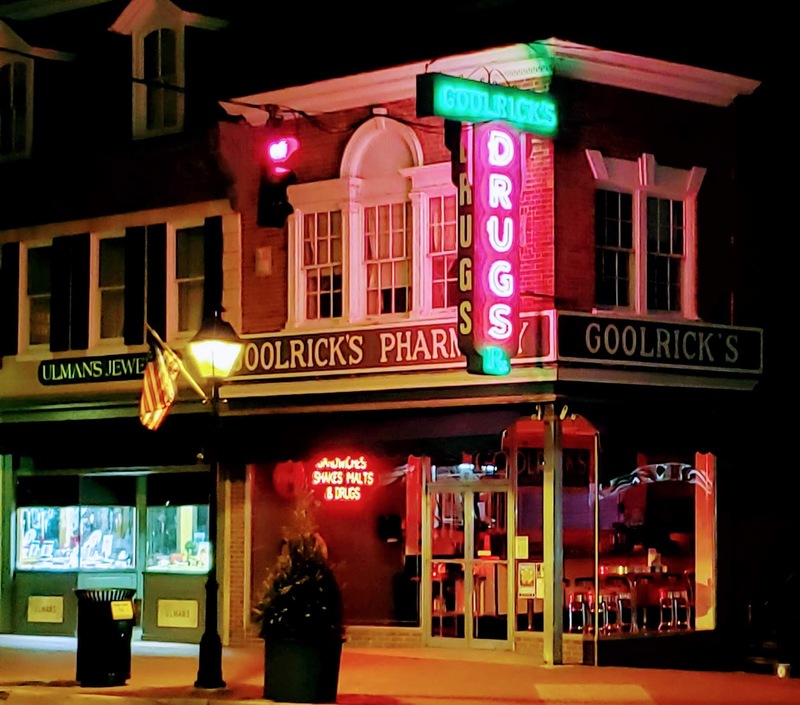 An absolutely must if you visit Fredericksburg is a stop at Goolrich's Modern Pharmacy. 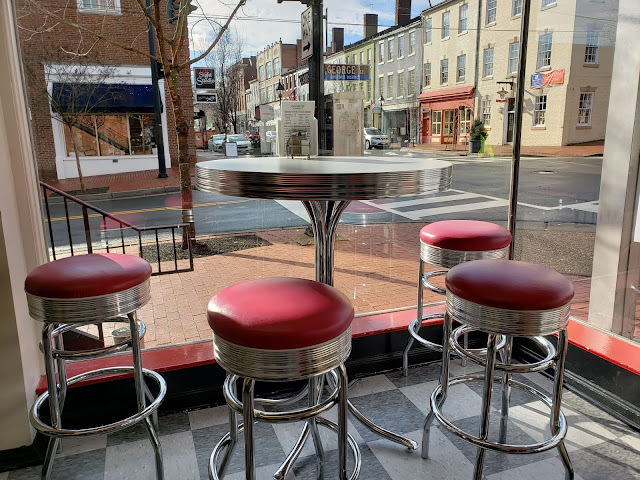 Leave your prescription at home (although you really can get it filled there), because you're going for an old-fashioned malt, float, or shake at the country's oldest continuously operated soda fountain. 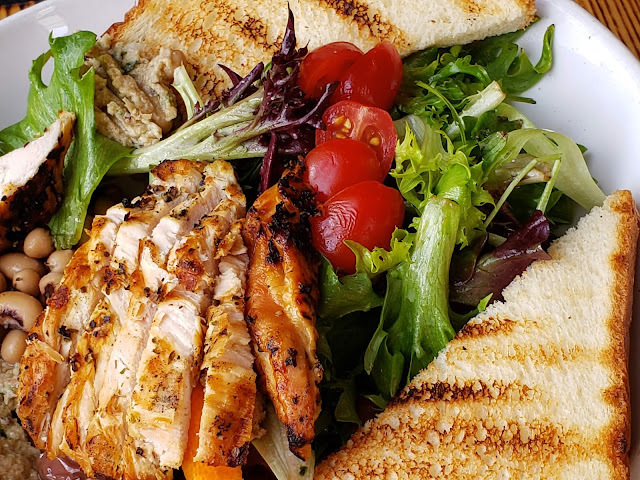 Foode's farm-to-table menu offers a variety of comfort foods, light fare, and creative updates on traditional items. 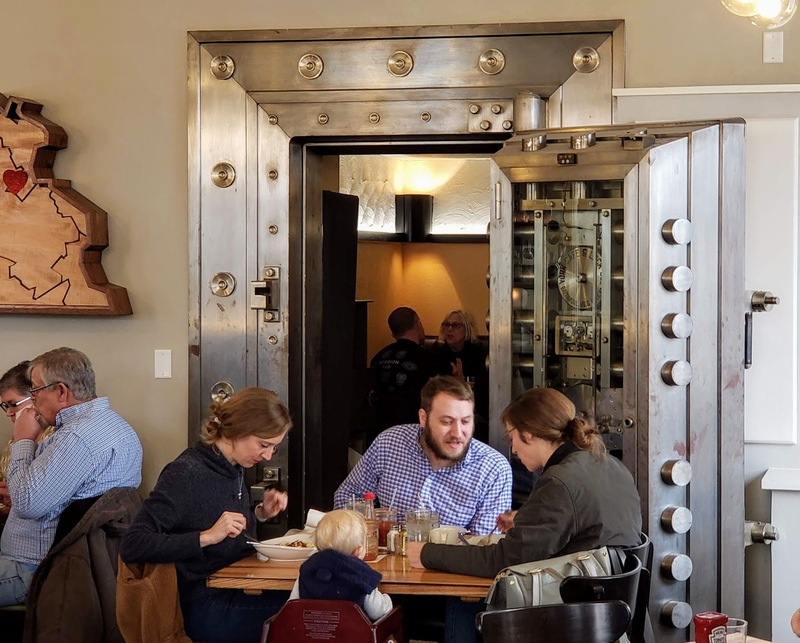 Try the Fredericksburger while you're sitting in the bank vault -- the restaurant is housed in a former bank building. 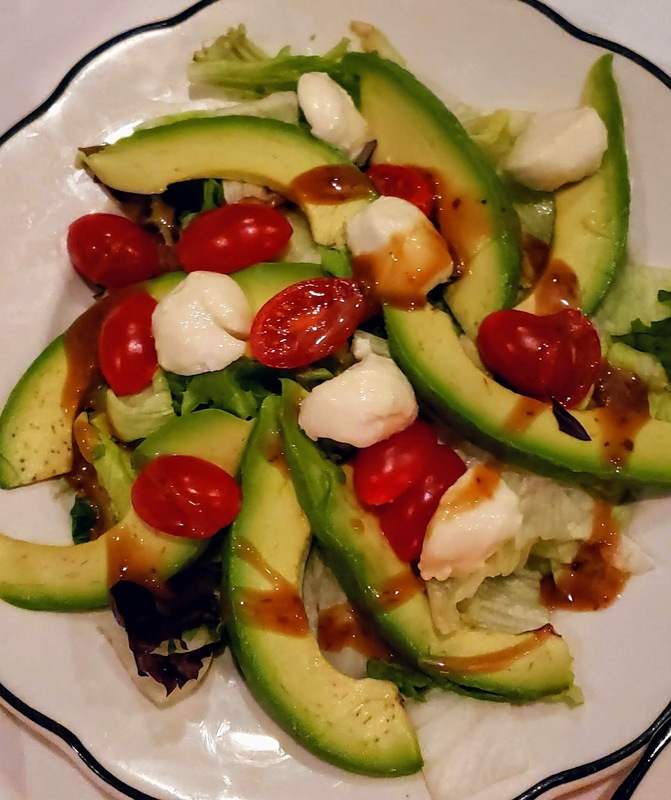 If you're looking for traditional Italian fare, Ristorante Renato offers homemade pasta favorites such as chicken (or veal) parmigiana, and the like. I appreciate their flexibility. As travelers, my friend and I would only waste food if we'd ordered full servings, so we asked to share a dish. The waiter accommodated this request, bringing the food out on two separate plates. Call for reservations -- the Saturday evening we were there it was packed! Fahrenheit 132 is at a slightly higher price point than most of the other food establishments covered by this article, but enjoys an excellent reputation for its steaks, which makes sense -- it's a steakhouse, afterall. You can also find chicken, pork, and seafood, however, so there's something delicious for everyone. Reservations are a must, so plan ahead. 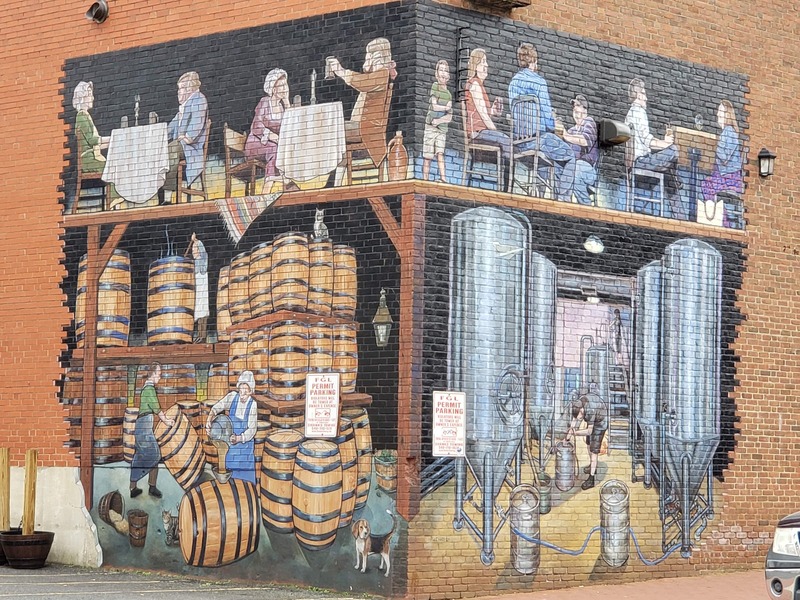 There are a number of breweries right there in downtown Fredericksburg. Consider visiting Red Dragon Brewery and Spencer Devon Brewery for a flight of craft beer. Each brewery has unique qualities that make trying them all an absolute must. The Spencer Devon Brewery sports this mural on its building. 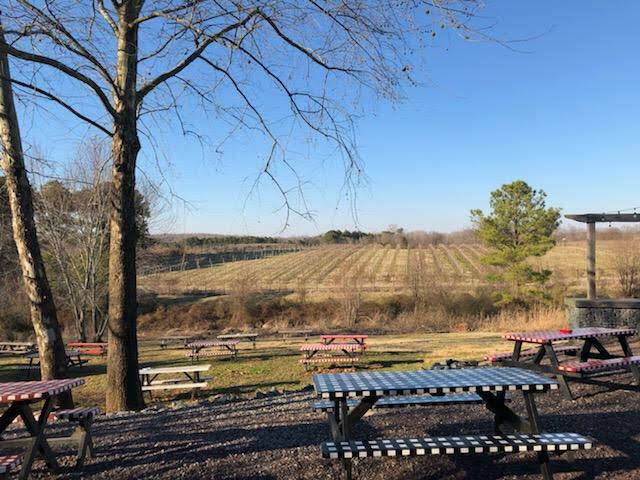 A little further away is 1781 Brewing Company, located in the gorgeous countryside of Spotsylvania, and sharing a roof with the Wilderness Run Winery. 1781 Brewing focuses on farmhouse ales, and takes advantage of its location and its very own spring. The combination of both a brewing company and a constantly growing winery (they plant, on average, an additional acre of vines every year) ensures a variety of choices for patrons, served in a beautiful, rustic setting, on a family farm that's been transformed and saved by the two businesses. 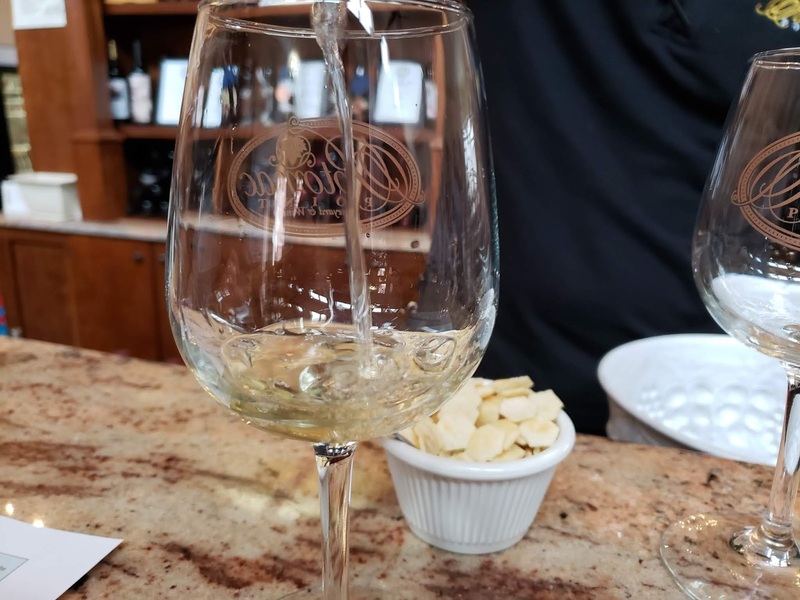 On the opposite end of the spectrum is Potomac Point Winery and Vineyard, which offers an established variety of wines in comfortable, sophisticated setting. Go for the wines, sure, but be sure to go too for Sunday brunch, which we did, to our delight. 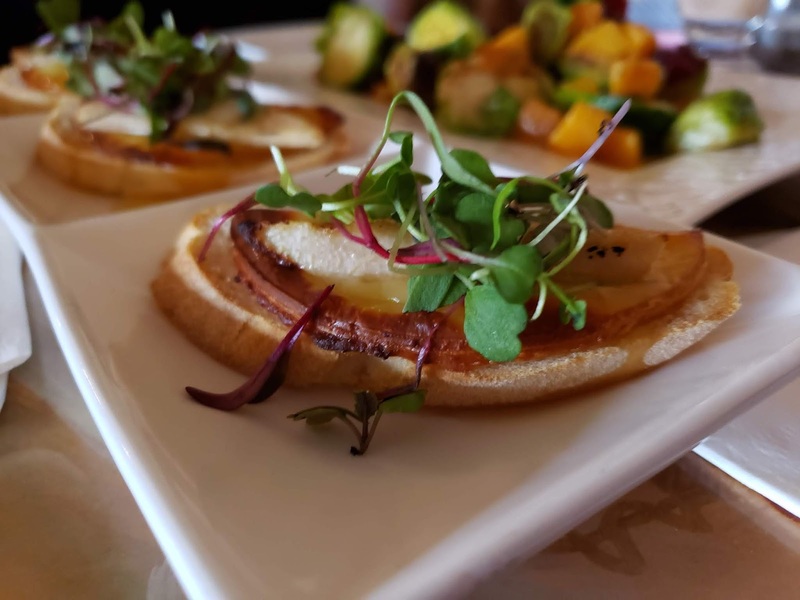 The menu offers sophisticated twists on light fare: bruchetta toast (but not just any bruchetta toast), cheese plates, and light sandwiches. 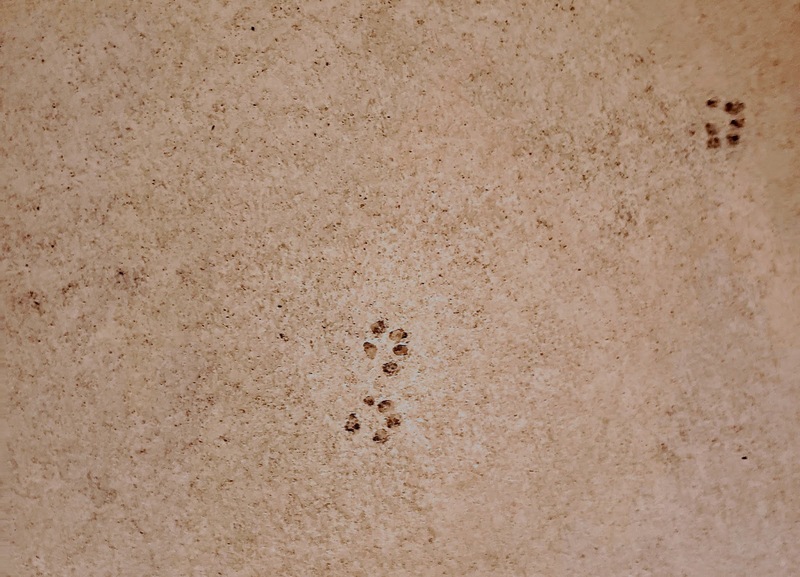 Try a flight while you're there, and be sure to ask for a quick peak at the cute coyote footprints in the Coyote Cave. Follow the MidAtlantic DayTrips on Facebook, Instagram, Pinterest, and LinkedIn. 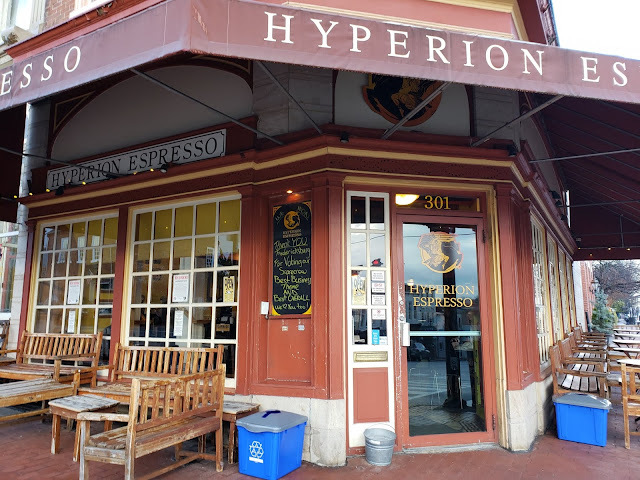 Beginning in March, I started a series of posts about Fredericksburg, VA. To see others in this series, click on the label "Fredericksburg VA" below this post.